Wivey Action on Climate & Environment was set-up in October 2014. Our group covers Wiveliscombe and the 10 Parishes area, with those living in other areas also welcome to join our mailing list. 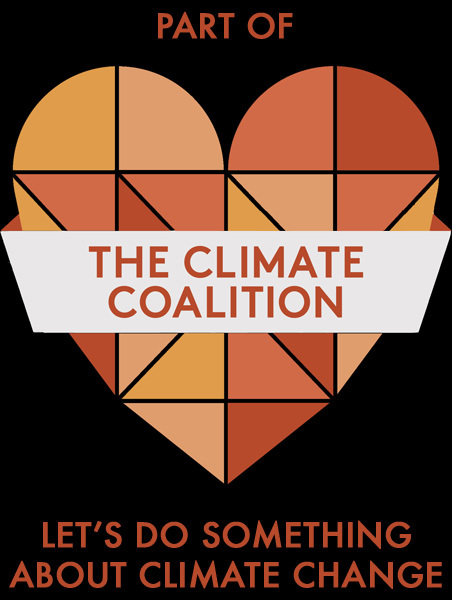 In July 2016, we joined The Climate Coalition – the UK’s largest group of people dedicated to action on climate change and limiting its impact on the world’s poorest communities. We have a constitution and a committee to organise group activities. Members are welcome to attend committee meetings and contribute. There is an annual general meeting held in the autumn when the committee are elected. Our group was first called Wivey Action on Climate. In 2017, the committee proposed extended the group’s remit to include protection of the human and natural environment, while retaining a primary focus on climate change. This was approved by members at the 2017 AGM, when it was also decided to change the group’s name to Wivey Action on Climate & Environment and to make corresponding amendments to our constitution. e) To campaign and manage projects for sustainable solutions to climate change and environmental problems, which improve human well-being and protect the natural world. f) To support campaigns and projects promoted by regional and national groups with similar aims, such as The Climate Coalition, Centre for Alternative Technology, Centre for Sustainable Energy, Forum for the Future, Friends of the Earth, Greenpeace, Hubbub, Transition Network, WRAP and WWF. It is free to join Wivey Action on Climate & Environment – complete and submit our online membership form. Join Wivey Action on Climate & Environment for free to receive our newsletter – sign up using our online membership form. Archive copies of newsletters emailed to members and those on our mailing list can be viewed at: Member Newsletters. Wivey Action on Climate & Environment holds personal data for people on our e-mail newsletter and membership lists. People on these lists have opted in by filling in a paper or online form or by sending an email request. Our newsletters include simple guidance on how to unsubscribe. In addition, we hold personal data for people who have taken part in promotions or campaigns, such as the LED giveaway or pledge for action. This data is only used for the purposes for which it was supplied. To ask for your personal data to be removed from our records, please contact Wivey Action on Climate & Environment by emailing admin@wiveyaction.org.uk. Confirmation will be provided. Enter your email address to receive notifications of new posts to this home page.